One blogger suggests there was an honor killing motivation involved in at least one of the stabbings. Before you hear the rest of the story, remember New York state is one of our top five refugee resettlement states in the US and also in the top five states with large Muslim populations. I wonder how much these murdering brothers cost the state of New York? Shouldn’t the US State Department share some of the cost burden of their trials and incarceration? An Afghan man admitted Friday that he stabbed his brother to death as his brother dined alone at a popular Indian restaurant in Henrietta. Ahmad Jawed Mohammad-Askar, 29, pleaded guilty to first-degree manslaughter Friday before state Supreme Court Justice Francis Affronti. Under the plea agreement, his sentence will be 25 years. Mohammad-Askar and his brother, 29-year-old Mohamed Ghulam, both worked at the Thali of India Restaurant at 3259 S. Winton Rd. in Henrietta. 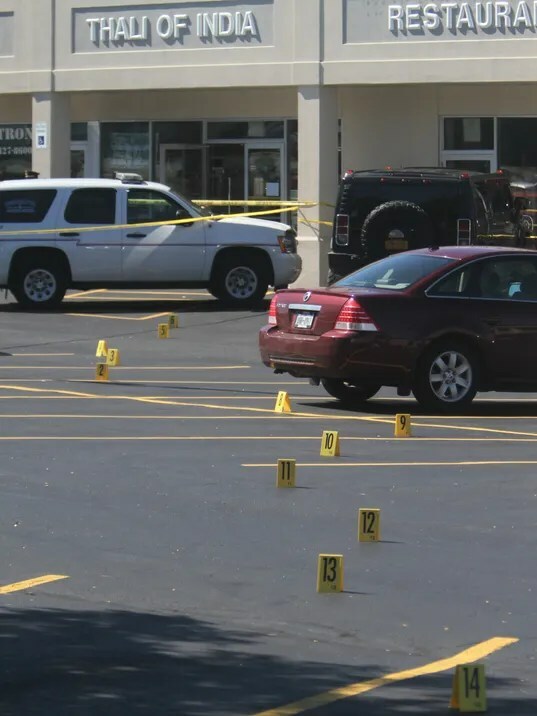 Speaking through an interpreter Friday, Mohammad-Askar said he stabbed his brother Sept. 17 as his brother ate about a half-hour before the restaurant was scheduled to open for lunch. I wouldn’t hold my breath about this deportation suggestion. His lawyers will claim he will be killed if sent back to his hell-hole country. Mohammad-Askar, who is living here legally, could face deportation after his release from prison. Then see this! Honor murders run in family? Blogger ‘a12iggymom’s Blog’ reported on this murder and an earlier one in the same family via the ‘Rochester Democrat’ last September. It is not clear to me whether the younger brother actually killed his cousin or just stabbed her in the neck 12 times! ***update*** the girl survived the stabbing. Mohammad-Askar and Ghulam are brothers of Faheem Abdul-Jaleel, who was 16 when he stabbed his 13-year-old cousin, Samina Qasim, 12 times in the neck at the family’s Henrietta home on Myrtlewood Drive on June 20, 2011. Authorities said he hid her behind a garbage can with her mouth covered with duct tape and fled the home. The three brothers were refugees from Afghanistan whose parents were killed when they were young and who came to the United States and settled with their aunt in Henrietta, said John Bradley, the assistant public defender who represented Abdul-Jaleel. So, let’s see, we have three brothers offered a good life in America (at great expense to American taxpayers), one is dead, and two will be in prison for years at great expense to American taxpayers. Good deal for America? And, you can bet, as we pull out of Afghanistan, more charming “refugees” like these will be on the way to your home town! Surely, Wyoming will get a few! I wish we had made a category for ‘refugee murder cases’ (I never dreamed there would be so many! ), but since we didn’t, you will find this one and many others in our ‘crimes’ category (1,434 previous posts). Faheem Abdul-Jaleel stabbed his 13-year-old cousin, Samina Qasim, multiple times and then stuffed her hair into her mouth and covered it with duct tape before leaving her to die in a garage. However, she was survived the attack. Abdul-Jaleel said he had to defend himself from the girl. His attorney blamed a violent childhood in Afghanistan. Thanks! Will make the correction.